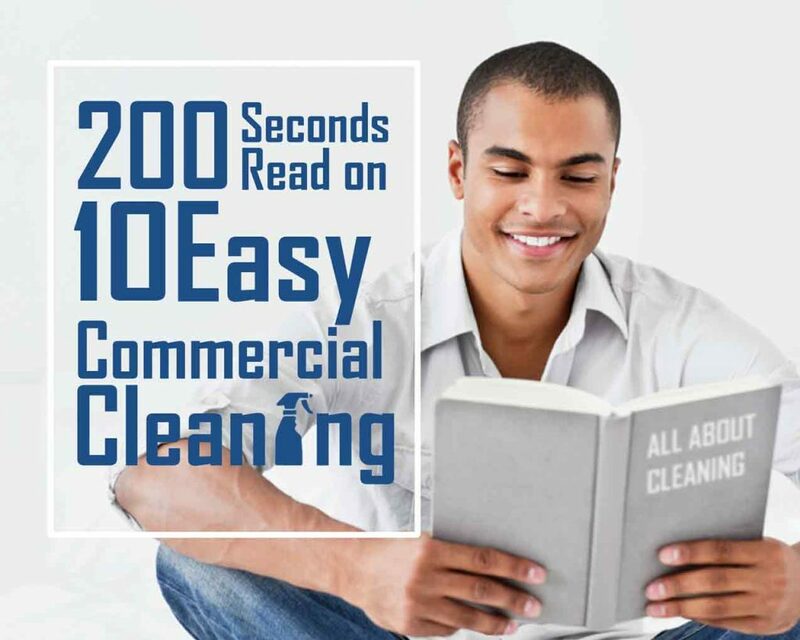 Here’s a quick read on commercial cleaning tips that’ll surely worth 200 seconds of your time to read. Did you start the timer yet? Then great! Let’s get started. The office environment is a second home to pretty much every working individual. For the most part, it’s where people pursue their passion. If not, then in a more direct sense, we can just say it’s where people earn their daily bread. To every office, there is only one goal—production. But then, productivity also requires focus and concentration. Thus, doing it will be too hard when the office is filled with all sorts of clutter and mess. Gladly, there are people who are passionate about taking care of the mess for us. They are the heroes hiding behind the success of every company. The cleaning services maids. If you would be wise in hiring the good ones, they can certainly contribute to your company’s growth. Because we believe that a tidy office is a productive office. These cleaners are professionals and are equipped with great knowledge in what they do. Just like the maids that we have in Maid in Perth. And you can verify whether they are as good as they are advertised by assessing their knowledge. Now here’s the thing, commercial cleaning is not an easy endeavour. But if you ask our maids how they are able to do it, here are 10 commercial cleaning tips that they can offer. Here’s the first of our commercial cleaning tips! Plan your task. It’ll make things way easier if all is laid out in a plan. Moreover, it also guarantees an efficient and smooth work transition. Taking away the clutter is simply picking the stray rubbish all around. Rubbish like empty cups, chip bags, dishes with leftovers, insignificant documents and etc. This would be much easier if it’s also a permanent discipline in the office. If people take the initiative to constantly clear up their desks, then cleaning won’t be that hard at all. In this case, there’ll be less to clear up when it’s cleaning time. Window cleaning, for the most part, is best done by professionals. If your office is one of the highest floors of a towering skyscraper, then let the professionals work for you. Professional cleaners are equipped with the right solutions and equipment for the task. Which is why its best left to the pro. Bins need to be cleaned regularly. Most especially if employees eat at their desks. You can put rubbish bags inside them so that it’ll be easier to take the rubbish out whenever needed. This is a primary item amongst our commercial cleaning tips. Offices are mostly filled with electronic gadgets and machines. Thus, cleaning it is a must to prolong quality. Therefore, schedule a regular cleaning for them. Most especially, computers and its peripherals, fax machines, phones and etc. Keeping the toilets clean and disinfected is a vital part of commercial cleaning. Moreover, people use them every day anyway, so it is best to ensure that they are clean and hygienic. If you have a kitchen or a pantry, then this tip #8 is for you! Never leave the kitchen out of your cleaning session. Especially the machines that process food daily like the microwave and the fridge. Best leave mopping as the last task if possible. In fact, it entails the most work on commercial cleaning. And while you’re at it, never forget to put signs on wet floors. This is to maintain safety and welfare in the office environment. Walk around the office and double check your work. You should be your own worst critique. Never take any detail for granted. And finally, give yourself a pat on the shoulder for a job well done. And there you go! You’ve just learned commercial cleaning tips from the professionals. Do you reckon your team can do it? Well if you already have a team doing the commercial cleaning for you. Then it’s cool. But if you require a professional and competent work, then give our cleaners a call! Just dial 1300 707 692. This entry was posted in Commercial Cleaning and tagged cleaning services, cleaning tips, Maid in Perth, quality cleaning services.